It has taken me a while to get through some books this period as I had one large book Called "Money" and it was a very hard read but interesting. I am currently trying to rebuild my relationship with money like I had before, and so have been educating myself on the subject and learning about where it all came from and this books explains, but challenges the originally story of how money was created. It talks about how there have been economic crisis decades ago, and the one we had not so long ago, and was anything new. It as happened before, due to the same patterns emerging. Lending money to so money and not much being returned. It was interesting but I couldn't finish it in the end, I hadn't had much to go but it did a lot of the time, go back on itself and took a while to move on to the more modern times. So I will give this book 7 out 10. I think this book is great for those who have a love of money, doing business studies or have a financial interest. I borrowed this book from the library, but if you click on the image below, you will see the new version of this book available on Amazon. 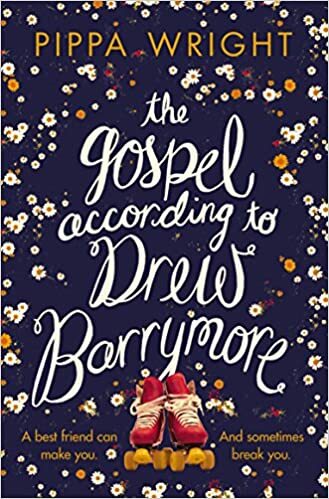 The next book I read was called The Gospel of Drew Barrymore. Hilarious in parts and in some others it was serious, it was like a drama sitcom in a book. Esther is called by her bestfriend's mum, Margie, who is an hysterical pessimist and she thinks her daughter Laura has gone missing. This isn't the first time, Margie has thought this before, only to find she went on a vacation. ​As Esther goes in search for her bestfriend's she discovers that Margie may have been in her rights to be worried this time, and looks back at how Esther first met Laura and of times she was pushed aside by Laura as she tells the story of them growing up as friends. They didn't exactly hit it off first time they set eyes on each other, and Esther didn't seem to always get Laura, and how she could be a different personality at times, to the one she truly knew. A great book, one of my favourites I have read this year. In some parts it made me want to scream at Laura, but at times made me laugh with hysterics. I would give 10 out of 10. Again this was a book from the Library, but is available to buy from Amazon.com. Click on image above which will take you to the amazon page where you can order your copy now. Definitely one I would recommend.